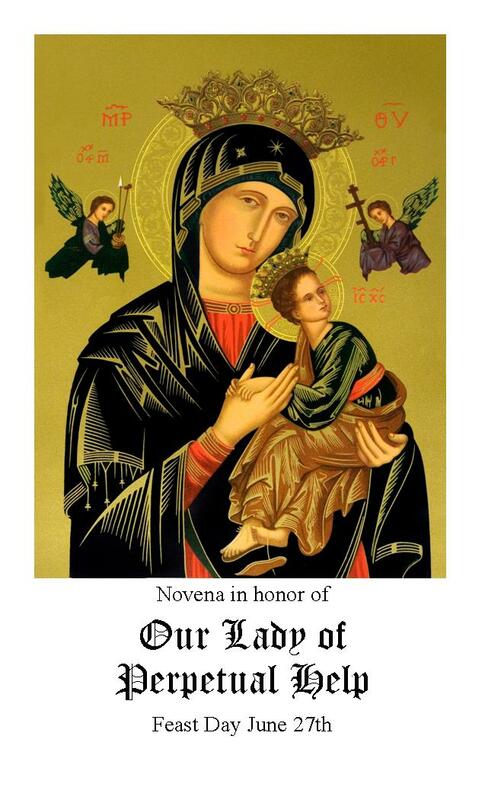 What makes this novena manual different than that of other Our Lady of Perpetual Help manuals is that it is actually a compilation of 3 manuals from 1932, 1935 and 1948. Written permission to post this article on the power of Our Lady of Perpetual Help. Especially during these dangerous times of wars and threats of wars, Our Lady’s children turn to Her for protection and consolation. Amidst the horror and destruction from bombs, she organized a prayer group to meet once a week, praying for the intercession of Our Mother of Perpetual Help. A few came but many did not. Although a large number of people were killed and homes destroyed, not one of those who came and prayed to Our Mother of Perpetual Help were harmed, nor were their homes or possessions lost. How prefect that this prayer book to Our Lady is available in the month of June. The feast day is June 27th. I remember most of the prayers from when I was a child. Thank you for giving Our Lady of Perpetual Help the honor due Her.